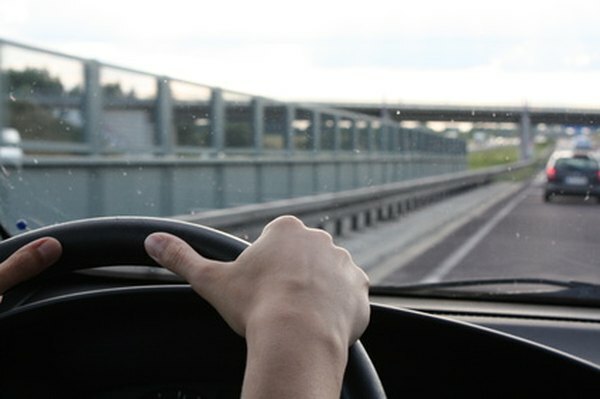 The IRS offers two ways to deduct for business driving. 3. Can the Self-Employed Have HSA & Insurance Premium Deductions? Self-employed workers qualify for many tax deductions, including deductions for the business use of a vehicle. Depending on which method you use to take these deductions, documenting your miles and keeping receipts for your self employed auto expenses is important, especially if the Internal Revenue Service ever asks for proof of your spending. The IRS allows you to deduct 54.5 cents for every business mile you drive in the 2018 tax year, up from 53.5 cents in 2017. "Business" is the operative word. If you use your vehicle for both business and personal driving, you must differentiate between the two, and there's a fine line. Miles you drive to meet clients or on business-related errands are deductible. Miles driven from your home to your office are not – the IRS says these are commuting miles. If you drive 40 miles round trip for business purposes, 20 miles each way, and if you stop to do personal business halfway through your return trip, you've lost your ability to deduct the last 10 miles. You get the 20 miles in one direction and the 10 miles back to the place you stopped. The miles from there to your point of origin don't count. You can deduct other travel-related expenses as well if you incur them during the course of doing business. If you have to pay for parking anywhere other than your place of business, it's deductible. You can also include tolls you pay, and a percentage of the interest on your auto loan if you financed the vehicle. The exact percentage depends on the ratio between your personal miles and your business miles. Depending on the nature of your self-employment, your vehicle may not meet IRS rules for tax deductions. For example, if your business is a corporation and the corporation claims your car or truck as business expense, you can't do so as well. If your business employs more than five vehicles, the miles aren't deductible and you must keep track of individual vehicle expenses rather than using the standard mileage rate. Vehicles that do double-duty as equipment, such as certain trucks, don't qualify either. The IRS offers two options for deducting vehicle-related expenses, and you generally must make a choice between them in your first year of owning the vehicle. Instead of claiming the standard rate per mile, you can opt for the actual expense method instead. This method allows you to depreciate the value of your car over a set period of time. You can also include your expenses for fuel, maintenance and repairs, and insurance. The actual expense method is based on what it actually costs you to operate your vehicle for business purposes each year, so if your car is a gas guzzler and requires a lot of expensive maintenance, this method might save you more at tax time. On the other hand, if your vehicle is extremely cost-efficient, the standard rate per mile might be your better option. If you think you'll ever want to use the standard mileage method, you must do so in the first tax year after you acquire the vehicle; you can't change your mind and switch to this if you use the actual expense method the first year. Either way, you'll spell out your automotive expenses on Schedule C of your 1040 tax form if you are self-employed. Schedule C auto expenses generally go on line 9 of Schedule C.
IRS: Can I Claim My Expenses as Miscellaneous Itemized Deductions on Schedule A (Form 1040)? How Does a Tax Credit Work in Giving Your Car to Charity? Is Purchasing a Business Vehicle Tax-Deductible?